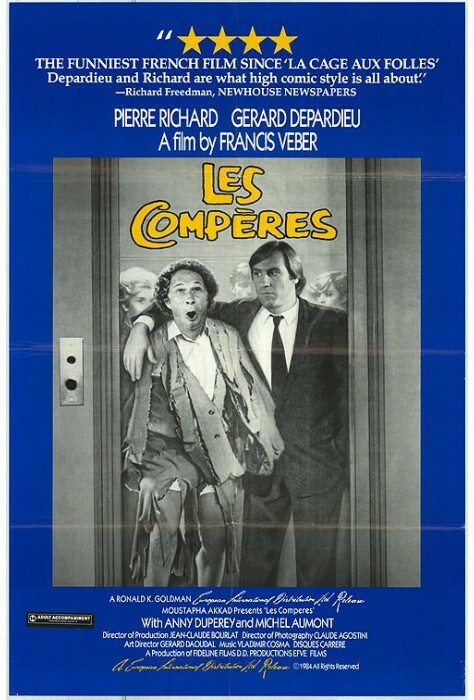 In the comical Les Compères, Christine’s 16 year old son runs away from their Paris home and she side steps her stubborn husband and separately convinces two former lovers that they are each the boy’s father. 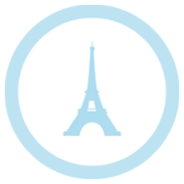 Duped into a sense of responsibility for a son they never knew, each man follows the boy’s trail to Nice. For Lucas, a two-fisted crime reporter, and Pignon, a fragile neurotic, their search through the back alleys of the Riviera is a chance to validate the years of bachelorhood they’ve squandered. After they find Tristan, the two men search for themselves in the boy while packing a decade’s worth of dubious parenting into a few manic days battling Riviera bikers, casino racketeers and most often each other. 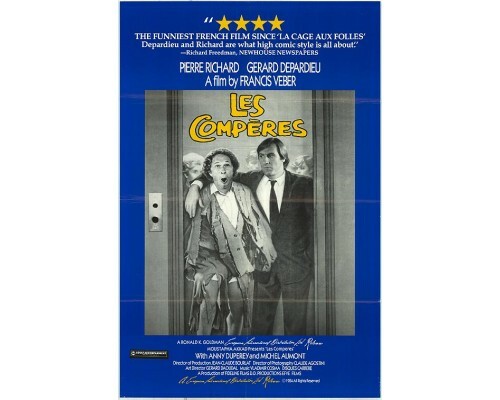 1984, 88 minutes, MPAA rating: PG, DVD in French with English subtitles.